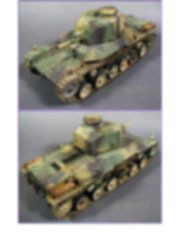 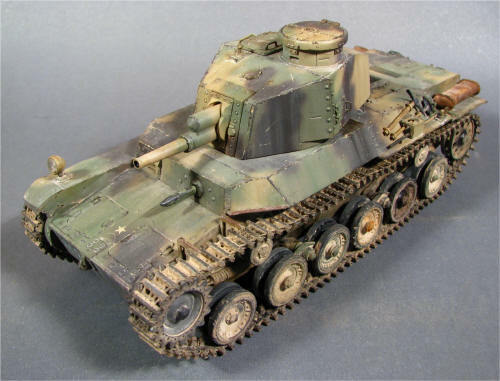 Unless you are a Japanese military vehicles enthusiast, the IJA (Imperial Japanese Army) tank destroyer type 2 is unknown for most of scale modelers. 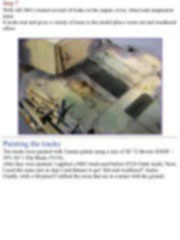 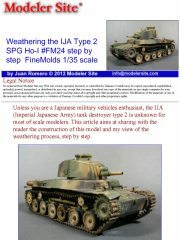 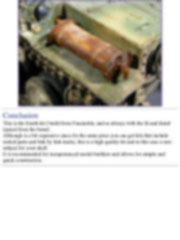 This article aims at sharing with the reader the construction of this model and my view of the weathering process, step by step. 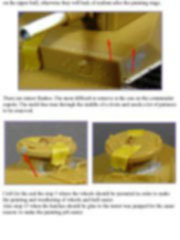 Instructions are very clear, easy to understand, without mistakes and in few steps. 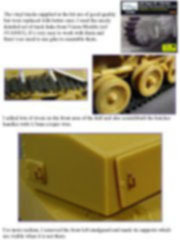 The kit injected in plastic does not include metal, resin or etched parts; though Finemolds supplies a brass turned barrel (ref. 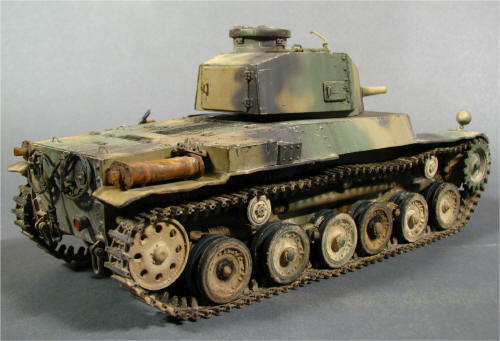 #FNMMG-62) which could have been included in the box since this is not an inexpensive kit. 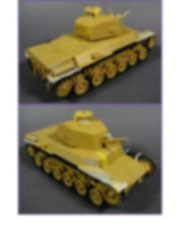 This kit comprises few parts, is easy to build and will not take a lot of time consuming. 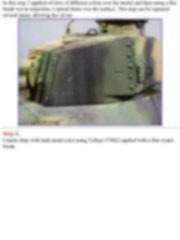 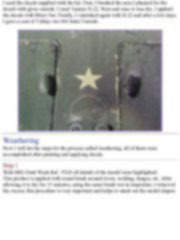 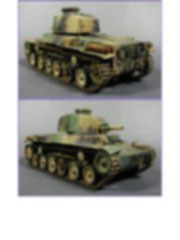 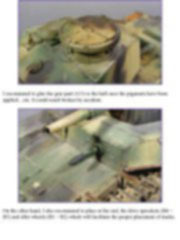 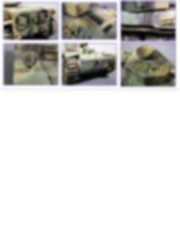 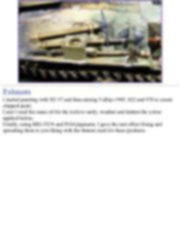 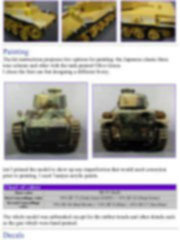 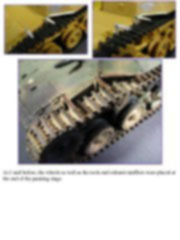 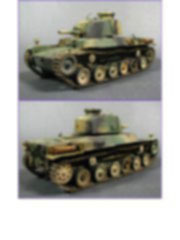 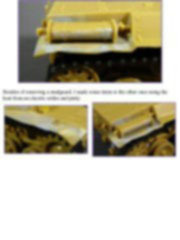 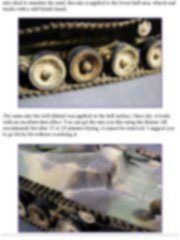 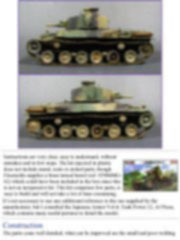 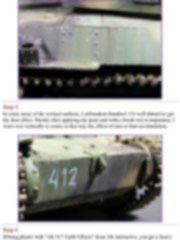 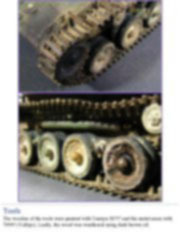 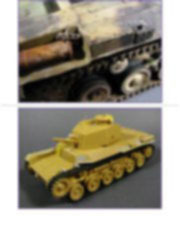 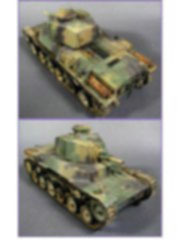 It’s not necessary to use any additional reference to the one supplied by the manufacturer, but I consulted the Japanese Armor Vol.4; Tank Power 12, AJ Press, which contains many useful pictures to detail the model. 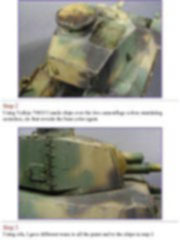 The parts come well detailed, what can be improved are the small and poor welding on the upper hull, otherwise they will lack of realism after the painting stage.